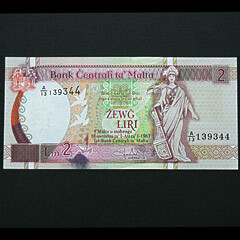 Malta Lm 2 - Zewg Liri 1967 mint condition banknote. 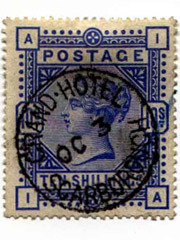 Prefixed A-13. 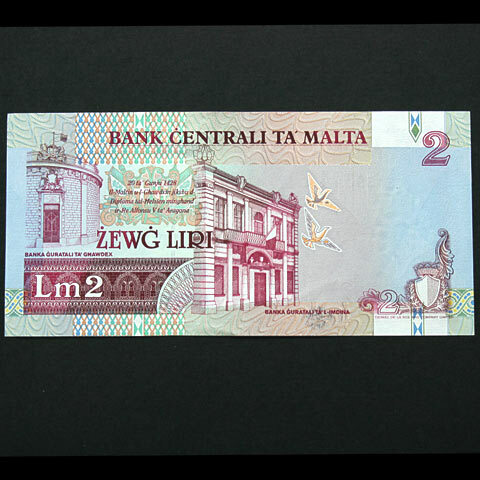 The banknote is in excellent condition but note the dark coloured ink stain next to the Lm 2 on the front - reason unknown.